There is some really big news coming from Siggraph. The Khronos Group has achived a milestone in showing a new StarVR headset running next to a Microsoft MR based one on the OpenXR standard. The presentation is scheduled for 1pm today. I hope this can be utilized by the Pimax HW as well. StarVR has clearly some lead here being ready with a demo of their hardware. Ultimately it would be a good thing when all VR gear jumps ship to OpenXR some day, it would ease development and progress in new hardware being supported on an open platform. Pimax joined the OpenXR initiative about the same week that Microsoft did, if memory serves, so they should be on the same page as far as adoption goes with the rest of the industry, which includes pretty much everyone that counts. All players now singing the same song bodes well for a solid standard. Any official comments on that one @xunshu ? I checked the siggraph presentation. Pimax is not a contributing member. Actu n° 14 - on kickstarter .
" As suggested by our awesome backers, we decide to join the OpenXR working group, so it will be much easier for developers and partners to access and integrate their work with Pimax headsets. " 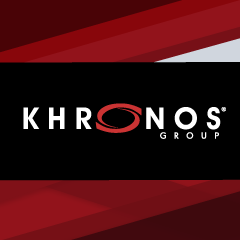 I just can’t find their logo on the complete slide as Khronos reps suggest. You would have to ask Pimax why their logo isn’t on the slide. Given they are running OpenVR (Steam/Valve) and are using Valve tracking, on Windows /Intel/AMD/Nvidia hardware they will need to implement any accepted standard that is decided on by the group just to function on the platform anyway. Maybe they took a free ride with Valve or another partner without really contributing. The standard will be open for sure, they just can’t influence and develop for it while it’s under development. So they might run into problems later and implement it later into Piplay than all the members who have access to all unreleased specs. While things like Piplay ideally won’t be necessary anymore one day, but rather a kind of a headset driver only the OS and OXR API is facing. On Phoronix there is some news regarding the developments around OpenXR. So while I wouldn’t anticipate any ground-breaking Vulkan news out of GDC 2019 unless some new game studios happen to jump on board with this graphics API or for MoltenVK on iOS, their other standards could be a different story. I would expect OpenXR will have a big presence at this year’s Game Developers Conference. OpenXR was announced during GDC 2017 as the Khronos standard for AR/VR. The first release of the OpenXR API was supposed to be out in calendar year 2018, but that didn’t happen. So more than likely I would place the bets on that initial OpenXR release happening during GDC 2019 along with the initial public implementations. The Khronos schedule for GDC 2019 does indicate an OpenXR state of the union as well as an OpenXR table at VRDC. OpenXR got released on 18th of March as a provisional specification V0.90. All developers a welcome to provide comments and requests for version 1.0 to be released. Only later the 2nd layer of OpenXR shall see the light of day providing an API for standardizing the drivers working with the vendors runtimes or might make those even unnecessary to some extend. Many well known players in VR are behind the development, however there was no statement from Valve or PimaxVR in the press release.